These women really moved me. It is not easy to tell your true story. 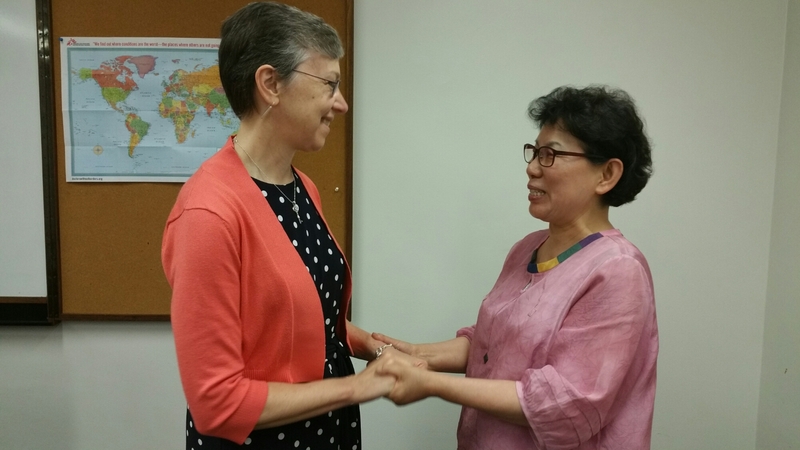 Harriett Olson, United Methodist Women, receives a thank you from Soon Duk Woo for the support of Sunlit Sisters’ Center in Korea, a place of advocacy and hope for marginalized women who worked on American military bases. 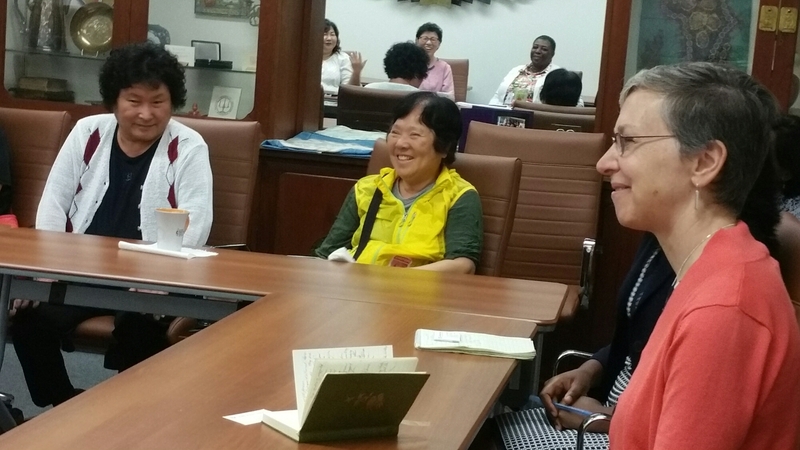 Ms. Sook Ja Kim, center, shares a smile after a tear-filled meeting, recounting the struggles of former prostitutes in Korea. When they were young, they were lauded as heroes, having sacrificed themselves and contributed to the economy after the war. The government told them that the money they brought in would rebuild a ravaged Korea. Fifty years later, these heroes are literally being pushed from their homes, unable to pay the heating bills. “Now that we’re old, we’re discarded,” said Ms. Sook Ja Kim.